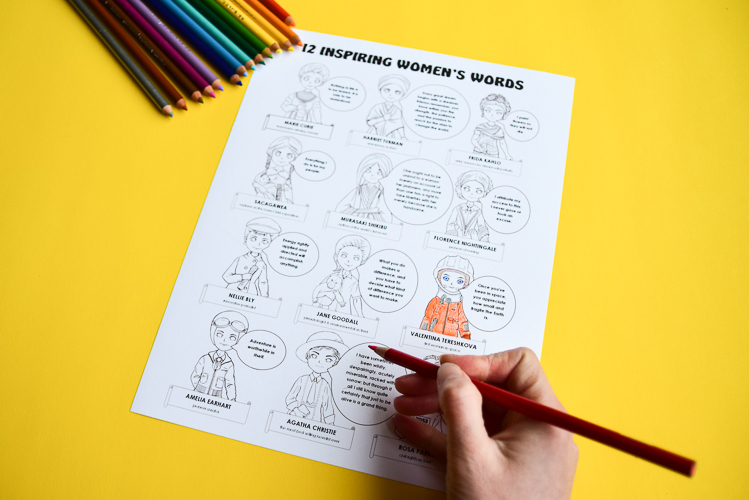 In celebration of women’s history month, I’d like to share a free colouring page and a printable poster with you, featuring twelve amazing women and their inspiring quotes. Throughout history and across the globe, whenever women wanted to do something daring, they always had to face two kind of challenges. One challenge was naturally associated with their goal; the other was produced by prejudice against their gender. It was never easy to be an ambitious man – to discover, to conquer, or to invent. But, at all times, it was even less easy to be an ambitious woman. That’s why the story of each woman who managed to succeed in her undertaking is filled with wonder and inspiration. It’s worth of being shared and retold. 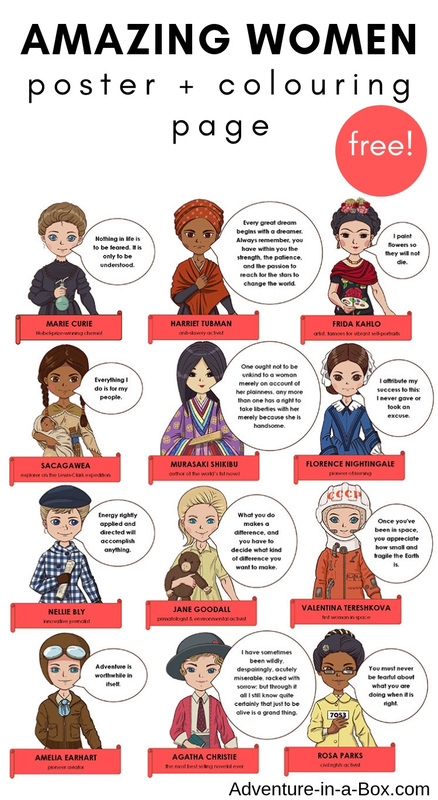 This poster does just that – in a playful comic-style, it introduces children to the topic of amazing women in history. A long time before Marie Curie, in the tenth century Japan, lived a girl Murasaki Shikibu. While her brother was taught for a career in government, she listened and learned the best she could – Chinese language and Chinese literature. At that time, women were not considered capable of real intelligence, so they were not educated in the same manner. But Murasaki was smart! She was so smart that her father said, “Just my luck! What a pity she wasn’t born a man.” Indeed, she could not build herself a real career, but a thousand years later her name is remembered for the fact that Murasaki Shikibu wrote the world’s very first novel. Amelia Earhart, on the other hand, was not the first to fly – she was not even the first woman to get a pilot’s license (the 16th in the USA, in fact). She was, however, very vocal and inspiring when it came to encouraging other women and anyone, really, to go and try new things. Her famous words are, “Adventure is worthwhile in itself!” They’re featured in the poster, and frankly, I would want both my daughter and my son to always remember them. 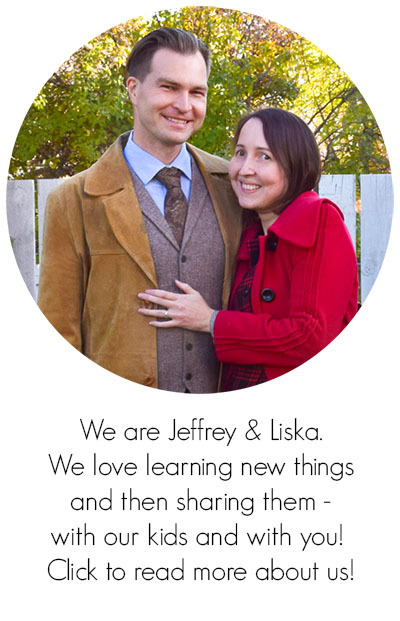 The stories of these women can be an inspiration to both boys and girls. 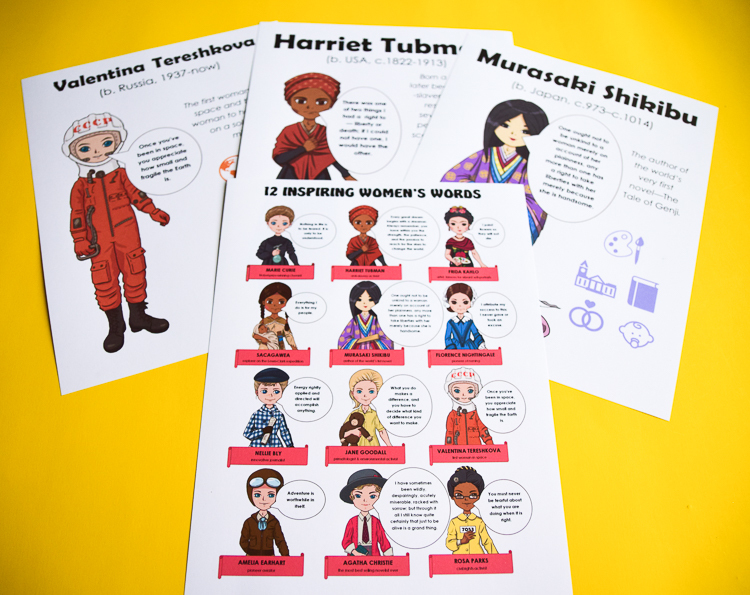 If you’d like to plunge into the world of amazing women who changed the world, you can also check out Amazing Women: Guess Who Game, which is great for bringing their achievements alive, or look into our Amazing Women in History: Big Bundle, which includes several games, crafts and activities for kids to learn about the women’s history. 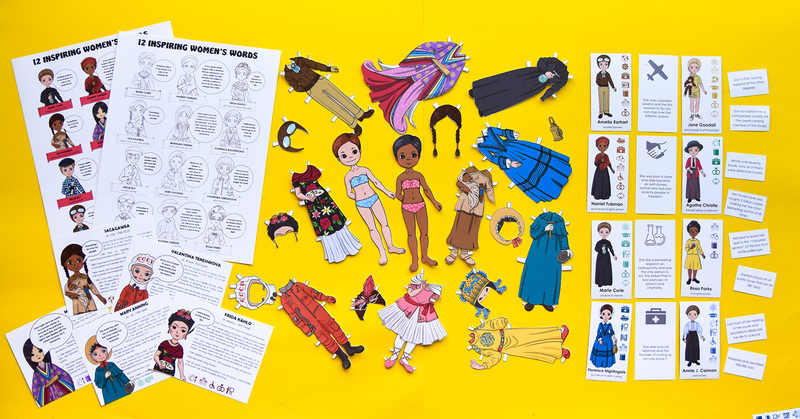 But if you just want something to introduce the topic of amazing women in history into your classroom or into your children’s room, this is a good place to start. After working on the Amazing Women project for the last couple of months, I created this poster that feature twelve of them – alongside their famous inspiring words. 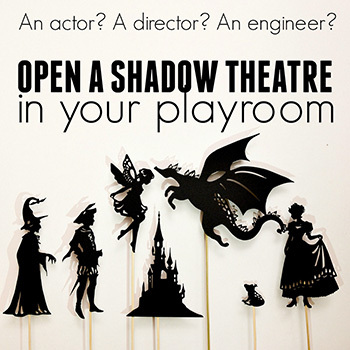 There is also a version of the poster in black-and-white for children to colour and make it “their own”. By default, the poster should be printed in A3 format (11.6×16.5 inches) – or on two sheets of standard (8.5×11 inch) paper. But you can also scale it down and print on one sheet of paper. Print it, let children colour it, read the quotes and talk about what those words mean. Ask children who inspires them most and do some more research on that woman! You can download the poster/colouring page for free below. You can also get the extended collection that includes twenty posters and twenty colouring pages. 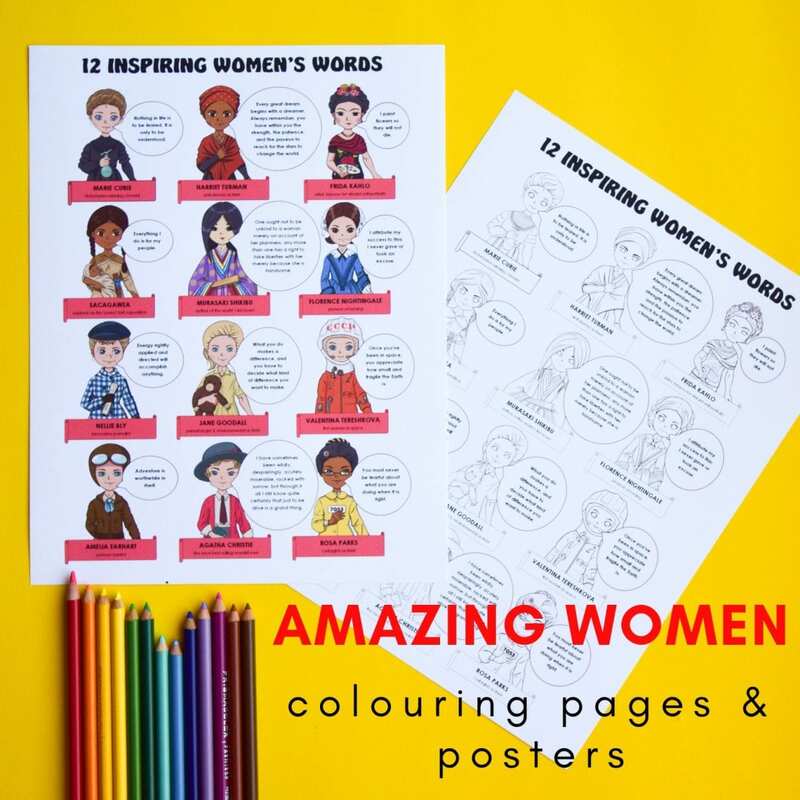 Each of them features a full-page illustration of an amazing woman from history, her date and place of birth, her quote and a short biography. 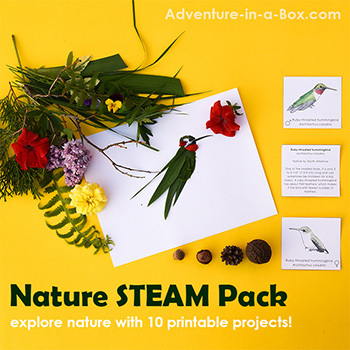 Get the Full Pack of Posters! 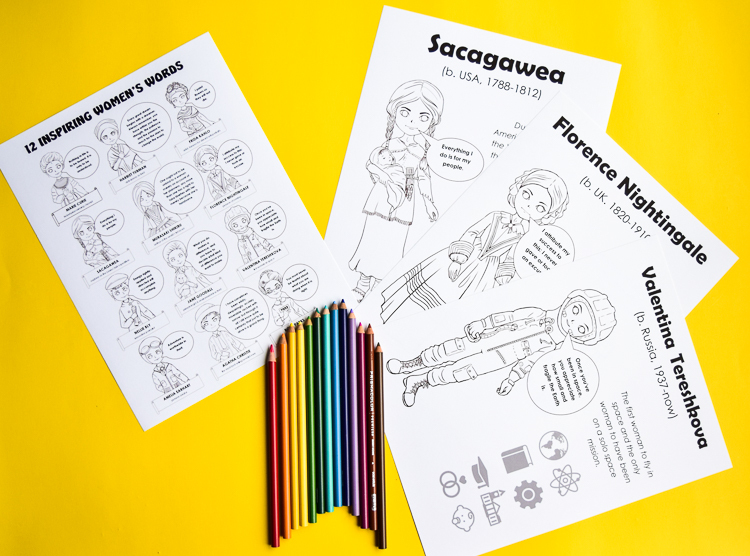 Learn about a selection of amazing women in history with our full Amazing Women in History bundle of printable games and educational materials! 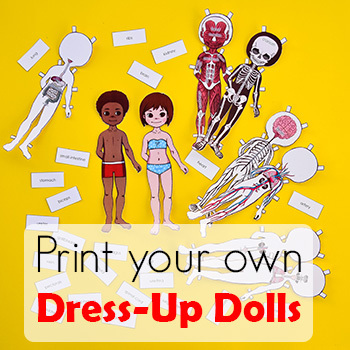 The students will play games, make paper dolls, colour posters and finish by making their own project, dedicated to a woman who inspired them.